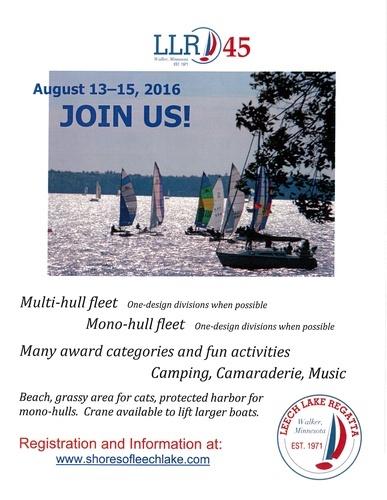 Leech Lake Regatta is a three day sailing festival including a three-segment race. Boats compete in two fleets; displacement hulls and planing hulls. Within each fleet are multiple divisions. Please join us for some great racing, music, campfires and good times!